There are countless variations to Irish emerald jewelry that will appeal to the most particular of tastes. A trip to the jewelry store at the local mall will reveal earrings set with tiny emeralds in clusters or pendants with tear shaped emeralds surrounded by sparkling diamonds. Irish emerald jewelry for men often takes the form of cuff links crusted with green emeralds or tiepins glittering in green. You’ll be spoilt for choice with gold and silver bracelets sporting emeralds in a variety of shapes and designs. 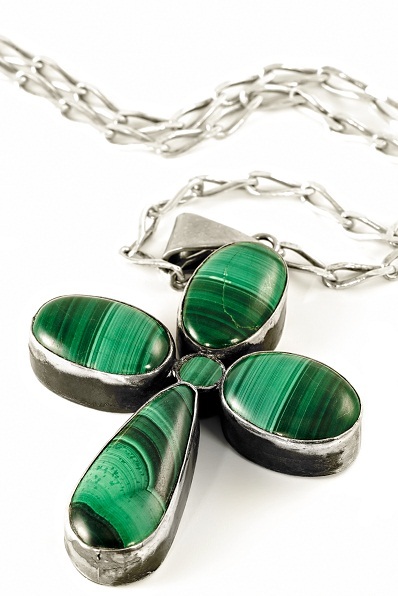 Necklaces remain a firm favorite of Irish emerald jewelry. Designers have creatively interpreted nature to produce swirls of emeralds that imitate ocean waves. Some of the most attractive rings feature a flawless emerald setting mounted high on a band of gold or platinum. Jewelry in the form of Eastern inspired bangles display collections of emeralds embedded in precious metal that jingles with each wave of your arm. If you’ve worn your emerald jewelry for some time, you’ll notice that the precious green stones don’t shine as brightly as when you first purchased them. Your hand cream and lotions are often the culprit. The accumulated detritus takes off the sparkle from your jewelry. Here’s what you can do to bring back the gleam and pump up the glam of your emerald jewelry. Dilute dish washing liquid with warm water in a small bowl. Add a touch of ammonia. Soak your Irish emerald jewelry in the water for a few minutes. Now, take a toothbrush with soft bristles and very gently, rub the emerald stones carefully and all around the jewelry. Be careful not to loosen the gems from their setting. When you’re done, place the emerald jewelry on a soft flannel cloth or a paper towel that’ll soak up the moisture. Dry the jewelry naturally. You’ll see your beautiful emeralds glitter once more! Your Irish emerald jewelry will bring you endless pleasure and last a lifetime. You could leave emerald jewelry as legacies and heirlooms to loved ones to treasure for generations. Emerald jewelry that is well cared for will retain their luster and glisten for many years into the future.